On July 13, the new hardcover book of Tex hit the the stands. 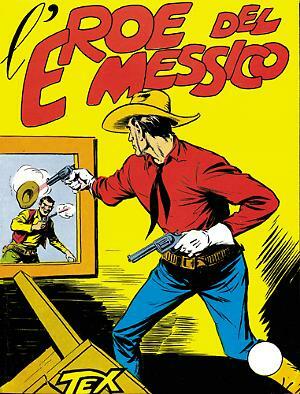 "Gli eroi di Devil Pass" celebrates the 50th anniversary of Giovanni Ticci working on Tex. Here's a gallery of his magnificent pages for this classic story. To present "Il magnifico fuorilegge", the 2017 Tex Special, we give you a gallery by Stefano Andreucci, an artist who knows how to change style according to the genre.7. Tex Special 2017: the trailer! Tuesday june 20, 2017, "Il magnifico fuorilegge" will hit the newsstands, written by Mauro Boselli and drawn by Stefano Andreucci. Here's a preview made by videomaker Alex Dante. It's time for our customary preview of all our news for 2019. 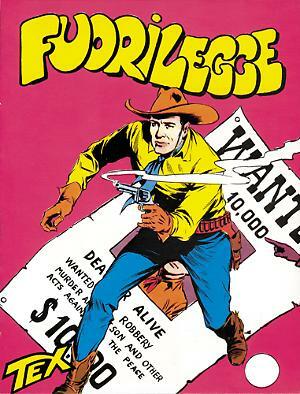 And, as usual, Tex will do the honors-our "magnificent 70-year old", who's still riding his horse like a youngster! 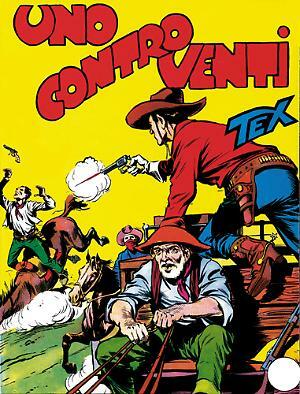 In the 50th anniversary of the first Tex story by Giovanni Ticci, Sergio Bonelli Editore publishes a book dedicated to the art of the Siena-born cartoonist. An artbook that Tex fans cannot miss! August 5 is the day Color Tex #11 will hit the stands, with a story written by Pasquale Ruju with art by Giacomo Danubio and colors by Oscar Celestini. Here is a brief scene illustrating the work of "Cowboys".